We asked our panel of experts for their advice on how to make telephone sales people more productive. We came up with a good number of tips. It may be worth trying some of these in your contact centre. A key approach for improving outbound telesales productivity is to implement a blueprint strategy. A call blueprint should not be confused with a script, where a script presents a set of questions and phrases for the agent to use during a call; this can affect conversation flow in the sense that it veers away from the customer’s needs to the agent introducing specific terms and phrases, which may not always be in context. On the other hand, a blueprint provides a call structure with ‘check points’ along the route. As part of this approach a telesales agent should first complete pre-call planning, ensuring that they have clear call objectives, understand what they are selling and why the customer would have a need for the proposition, and helping them to maintain a positive attitude! Clear introduction – this must stimulate interest. Effective questioning – ask probing and leading questions to ensure the conversation goes in the direction you intend; for example, what are their key issues and challenges? Present the solution – in a way which is clearly linked to the customer’s need, highlighting how your solution solves their problem. Handle objections – anticipate likely objections to the proposition and clearly articulate how the solution will work around those issues. Close – ask for the order if appropriate but always ensure that you summarise the next steps and who will do what by when. Thanks to Julie Kerman at Business Systems. For more information on how to improve customer service, check out their customer service strategy advice hub. When doing some research for a high-street optician, Carolyn Blunt realised that some advisors took 240 seconds to arrange an appointment whilst others took double that time. Why? Because advisors were using two different communication styles. Some were using a push communication style and launching into descriptions and giving the customer plenty of options, whilst others were using a pull communication style and asking questions to get straight to the answer. The pull conversation style allows the advisor to lead the conversation, and by asking questions such as “what is the best location for you?” or yes/no-style questions, you are not wasting time gathering unnecessary information. So, instead of using the push technique to present options to the customer and then having to wait for them to come to a conclusion, sales people can gather information and make decisions based on customer priorities and their experience. If you pressure staff during wrap time by focusing on time-based metrics, it is likely that these advisors will start making notes from the previous call whilst they are greeting the next caller. If advisors are doing this, it is likely that they will miss information from the first 20 seconds or so from the beginning of the call, meaning that they may fail to gauge the customers mood, personality or the demographic that the caller falls into. Worse still, advisors could have missed information that they were not quite ready for. This would result not only in the customer having to repeat themselves, something they will not appreciate doing, but also Average Handling Time would increase. So, empower advisors with sufficient wrap time to make sure that they are at their most productive on the call. Taking the phrase “in a moment” and putting it into the call will give the customer a “heads up” for the next action and may help to save time in your calls and improve productivity. For example, saying: “In a moment I am going to give you a reference number, you are going to need a pen”, will notify the customer that they will need a pen and paper, stopping them from dragging out the interaction whilst rummaging around their house for writing materials. A 20% hike in contact centre productivity might be viewed as the stuff of dreams. However, this is a typical average for telemarketing contact centre advisors who are based at home rather than in a centralised contact centre. Traditional psychology says a job with high demand and low control will result in stress. This was one of the primary causes of churn in contact centres – a major issue impacting productivity. Home-based advisors show what can be achieved if trust and control are placed with the individual – and that’s a lesson that any contact centre can learn. If you want your telesales team to be productive, it is important for them to make decisions that represent what the customer wants. This is difficult to do when rigidly following a script, as you can often bring in unnecessary trivia, which prolongs the interaction. So, trust your team to make calls relevant and useful instead of debating on an issue that bears little significance to the matter at hand. Whilst this may be difficult at first, advisors will learn from their mistakes if you give them sufficient time. After all, empowerment comes from involvement, and learning from mistakes, through self-learning or 1-2-1 coaching, will help the telesales team to find better solutions and in time boost productivity. Having a relationship with customers is proven to be linked with profitability, and we also have some evidence from research that there is direct correlation between empathy and productivity, as well as Average Handling Time (AHT). The empathetic relationship with the customer enables callers to get to the issue much quicker and deal with it in a much more effective way, because they have built up that trust. Also, customers are more willing to converse with the salesperson and be able to tell them the full story instead of limited components. Involving the telesales team in improving productivity can be highly beneficial, as they know better than anybody else because they are doing that job on a day-to-day basis. Salespeople will know where the problems are, where systems perform poorly and where the processes are disjointed. There are not enough instances where the telesales team are involved in realigning processes or mapping out new procedures to improve productivity as well as performance. Some great incentives are shift preferences, vacation approvals or parties. Salespeople tend to be more motivated if something is on the line, and healthy competition for reward incentives can boost productivity. Moreover, having an incentive scheme is a great way to consistently recognise hard work, and spreading that feeling of appreciation can only improve morale and productivity. 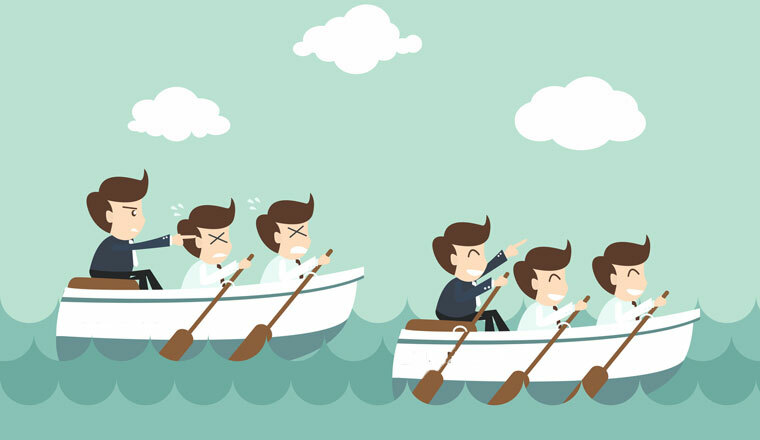 As mentioned previously, healthy competition can be highly beneficial in the contact centre, so why not pit teams together in a head-to-head contest? One month it could be handle time, and the next month it could be up-sell opportunities. Encourage them to be proud of their stats and engage the other teams in playful banter. This can really improve a team’s morale, and the productivity boost you get from the teams striving to attain their goals will never hurt. This works particularly well in outbound telesales. It is now the case that if you do not have an advisor scorecard system in your contact centre, you are the odd one out. Even if you are only measuring one goal at first, it can be very useful to give advisors something to shoot for. Otherwise, mediocrity may set in. However, be careful to ensure that your goals aren’t counterproductive. Contact centres that measure “calls handled” tend to suffer because the agents burn through the calls too quickly. Make sure you are measuring not only straight productivity statistics but also quality scores and customer satisfaction. The scorecard should be balanced. Then you will know who your top agents are, and you can reward them accordingly. 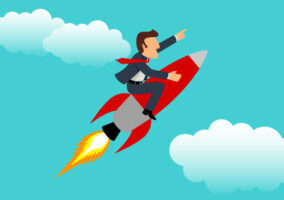 Giving your sales team appropriate, motivational targets is an obvious way to boost productivity, but what are the right things? Remember, the correct metric-based targets are not always the easiest to measure and you should only measure thing that will be reviewed, analysed and acted on. Also, it is important to measure what is relevant to the need, which will change over time. If you acted on the “productivity blocker” and are confident that you have solved the issue, stop focusing on the metric and instead focus on measuring something else. Finally, it can be valuable to look for and then act on trends rather than one-offs. There are some examples of companies who get some survey results and just because one customer mentions something, suddenly everyone “jumps up” and searches for an answer. Instead, look for trends, particularly those which can be fixed. If you just set a target for your telemarketing team, without thinking through the real reasons for why you have implemented it, advisors will see it as important and they will find ways to get around proper procedures, particularly if targets are linked to pay. These “ways” can be re-termed as “cheats”, as salespeople will start to find shortcuts to greetings, rapport, finding empathy, etc. And whilst this may be beneficial in lowering talk time, it is certainly not in maximising performance and will likely lead to a lower sales per contact ratio. It is important to sound authoritative and energised about the product or service you are selling. 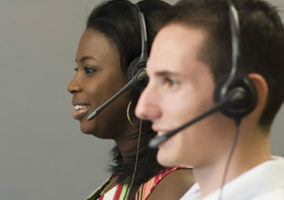 Wireless headsets provide users with the ability to stand up and move around the office, which in turn helps the telesales or telemarketing agents open up their lungs and project their voices more effectively, as well as getting the blood pumping to keep them feeling more awake when on the call. We have improved the productivity of our workforce by implementing a positive strategy of staff engagement. This was developed to optimise the amount of time we invest in our employees and, through the use of leading-edge workforce management technology, we have been able to increase significantly the amount of 1-2-1 and team contact that we have with our staff. This has created a very positive environment in which our people understand their vital role in the success of our business. As a result, we have benefited from enhanced productivity in terms of schedule adherence, conformance and other productivity metrics, as well as improvements in employee engagement and customer satisfaction. Allowing, and in fact encouraging, advisors to establish their preferred work schedule has been shown to improve employee morale, increase employee and customer satisfaction, and improve key operational metrics in the call centre. Therefore, telesales people should have a way to communicate their preferred work times without prior consent, available times with prior consent, and unavailable times. One way to easily take these preferences into account when creating agent schedules is to implement a feature-rich (but not necessarily costly) workforce management system. For more on this topic, read our article: How Do I… Manage and Schedule Multi-Skilled Agents? Playing to the strengths of each team leader and positioning people according to their skills is a tried and tested way to boost performance. We used to follow the practice of putting the best team leaders with the worst performers in the hope they would improve. We changed that approach after realising that when we paired the best with the best, productivity was boosted. When people are good at what they do, they have added enjoyment and tend to be more productive. It’s long been accepted that if you build on your strengths instead of focusing on your weaknesses, you will be more successful. To maintain momentum, a call centre manager needs to offer long-term prizes of large value such as a holiday or experience. These can be tailored around a theme or season to add extra interest and keep the incentive or reward programme timely. This ongoing approach needs to be interspersed with surprise short-term incentives and rewards taking place daily or weekly. These make an immediate positive impact on morale, as experiences help to create positive memories that are associated with the workplace, and they make a big difference to the level of motivation and energy within a room. In a telesales-based call centre, agents can typically spend 10–40% of their time managing lead data or trying to extract the information they need from various databases or applications all running on their desktop. Automating sales and telemarketing management and bringing CRM into the contact-handling system as a single agent desktop allows the agent to focus on talking to the customer. Data from front- and back-office systems can be aggregated in real time and presented to the agent with relevant cross-sell and up-sell data. By integrating CRM and contact handling, the system can become self-learning and discover which agents are best at closing certain types of lead, and can route future leads, calls or emails accordingly. This automation in a simple desktop can have a huge impact on the sales-based contact centre, as demonstrated at Babcock International where their success rate has increased by 30–40% as their agents can spend more time with customers. Understand why you’re calling before you call: to the sales prospect it’s all about resolving their issues and gaining key benefits, NOT about your products and services. Work out what will provide value and offer them something useful with, if possible, a free sample, a no-strings-attached trial, etc. Put yourself in their shoes: what difference could your product/service make to their lives? Then put your message across enthusiastically and with energy – assuring the individual that you believe in what you’re selling. Rapid peaks can also be responsible for low employee morale and, in the case of customer complaints, increase the time to complaint resolution, further damaging brand and reputation. Most customers forced to complain feel vulnerable and agents feel the brunt of this. By having the means to be proactive, the agent can quickly calm the customer and start the resolution process. By identifying complaint trends by using root-cause analysis, the management team has the knowledge needed to prepare agents and to put resolution strategies in place. Staffing in line with predicted call peaks reduces call answer time and the ferocity of the caller. It will also help to drive sales! Contact centres are all about hitting targets and rankings, and many are now realising the importance of making their advisors feel good. Competencies and company values should also be measured among staff to help them develop competencies. Competencies and values in a call centre would be good to focus on, as they are great for staff development and for incentivising the staff and company. With competencies, the telemarketing manager can assess and give an expectation rating as well as a final rating, which will show how the person has developed. The manager can also use the option of staff self-assessment. You can then differentiate call types to match competencies/skills. Develop multi-skilling and link it to a competencies and development plan. This will enhance agents’ ability to process different call types and thereby improve output. Our banked-hours scheme enables staff to enjoy sunny summer afternoons by banking hours. We can utilise these owed hours during our peak winter period. This has led to a saving on recruitment and training and enabled us to retain our experienced workforce. We understand that call centre work can be challenging. Down time is encouraged following a difficult call, allowing the operator to feel positive and refreshed ahead of their next call, which also reduces days lost to sickness. Internal communication is key in a productive telesales or telemarketing environment. So, make sure teams and individuals have the latest updates on targets and deadlines, and information about deals, so everyone is focused on the same results. Also, it could help to run regular debriefs and share information, so employees continue to learn and improve. First impressions count and presenting the caller ID as soon as a call comes through can help prepare staff to handle any incoming call effectively. Simple procedures, including automatic routing of calls to the correct department, can ensure that enquiries are resolved quickly, providing improved service and saving time for both the customer and the salesperson. By going further and integrating a telephony system with other applications, such as Salesforce CRM, staff can use a single screen to manage all incoming and outgoing calls. This saves time as the sales team can access all customer information from one central source rather than logging onto different systems. But what about you? Do you have any tips to boost the productivity of a telesales team? Please leave your responses, as well as any other thoughts, in an email to Call Centre Helper. Originally published on 17th August 2011. Recently updated. Some great ideas here and will be reviewing most with my team to see which ones we feel we want to implement. Atmosphere is so important in a sales room. We always make an effort to enjoy ourselves and realise that it’s not all about the money. Tip 26: pay them fair wages. All very interesting but the bottom line, missed by almost all call centres, is to pay people properly and have fair incentives. Hand in hand with this goes hiring eager beavers in the first place. Lack of personal experience in selling over the phone for managers is the main drawback in call centres. A very insightful blog. All of them excellent solutions to the problem everyone in inside sales might have faced at one point or the other. I’m tempted to list out how my company can help but instead I shall just say..